Imagine a world where Elton from “Clueless” and Jack Dawson from “Titanic” were played by the same actor…. Well, it almost happened! 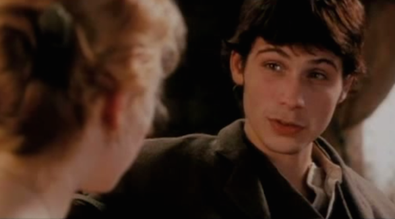 Jeremy Sisto chatted with HuffPost Live this past Wednesday, March 4 about his screen test opposite Kate Winslet for James Cameron’s iconic film. In the video below, the two act out a scene from the film—an experience Sisto called “pretty great” to even be involved in. Ultimately it was Leonardo DiCaprio who stole our hearts as Jack, but from his audition, we think Sisto would have done an awesome job!